British Columbia’s reigning 2X player of the year and 2014 Gold medal winning pitcher Shane Kraemer will be joining the Royals for 2016. 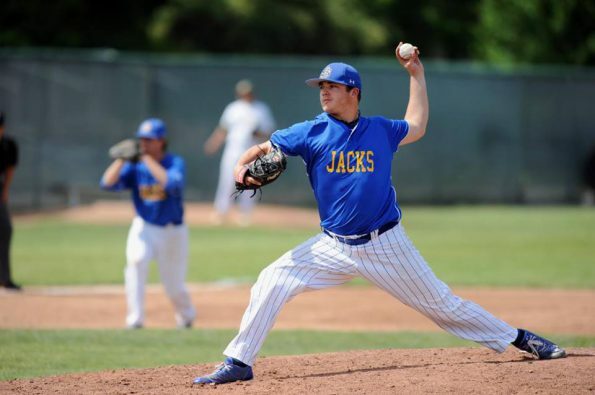 Kraemer, a left handed Ace throws 88-92 MPH and has accumulated a record of 16-5 with a 1.74 ERA with a 186 strike outs in 157 innings over the past 3 seasons. He is 3-1 at the last 2 Baseball Canada Championships winning the Gold Medal in 2014 with a 13K, 7 inning complete game win over Ontario.